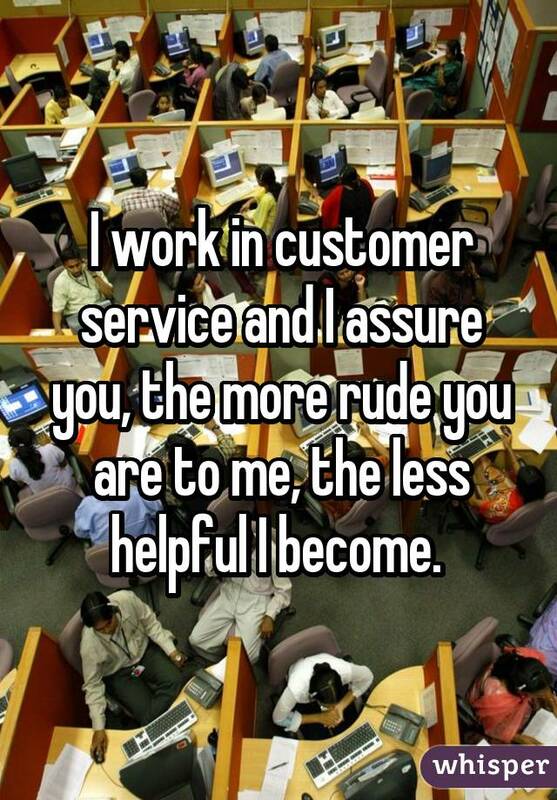 Good customer service is integral to any thriving business. While the businesses themselves can offer promotions or discounts to bring in new customers, only the customer service representatives can keep clients coming back for more. 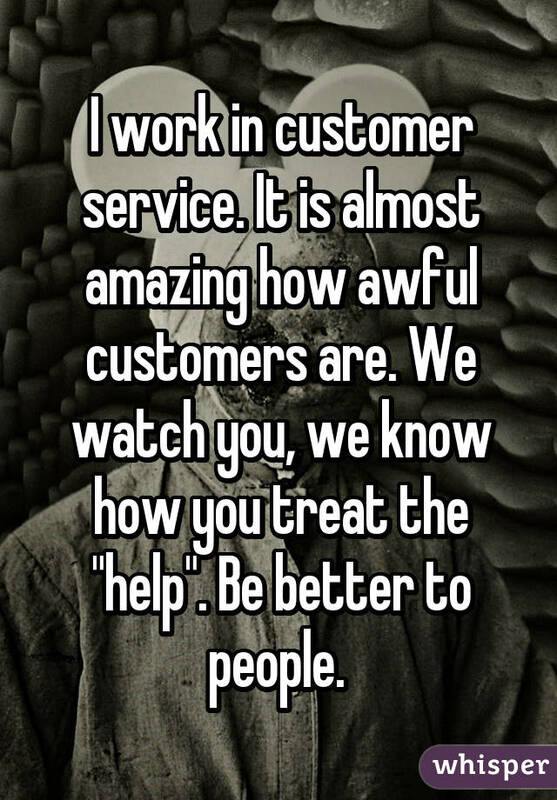 Therefore, people who work in customer service are expected to keep the customers happy at all costs. They're expected to listen to customers carefully, be ready to apologize (even if they didn't do anything wrong), accept feedback, and maintain a charming disposition. 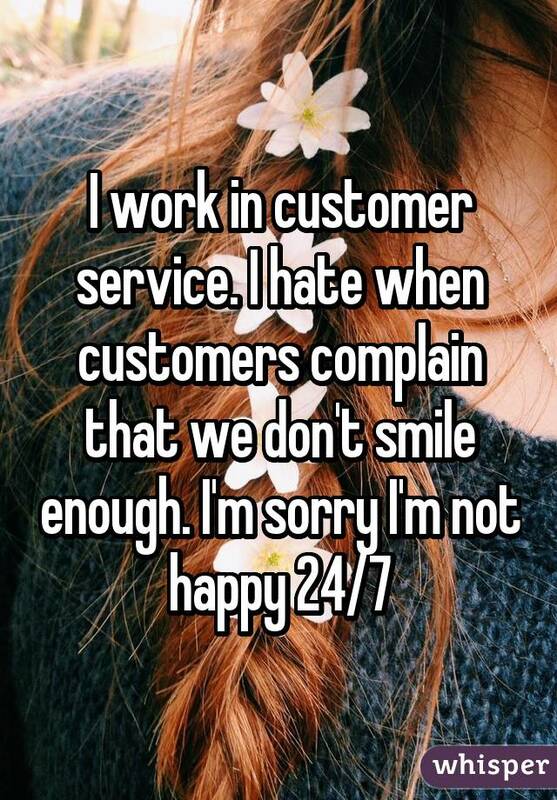 These expectations can be frustrating for customer service workers, though, when customers aren't returning the friendly vibe. 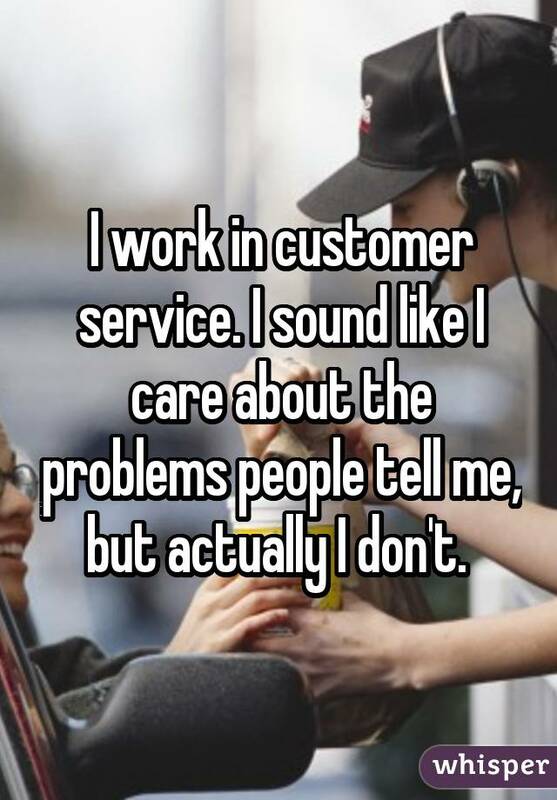 Therefore, several customer service workers took to Whisper, the popular app that provides an anonymous platform for people to share their most honest thoughts, to share some shocking confessions about their jobs in customer service. 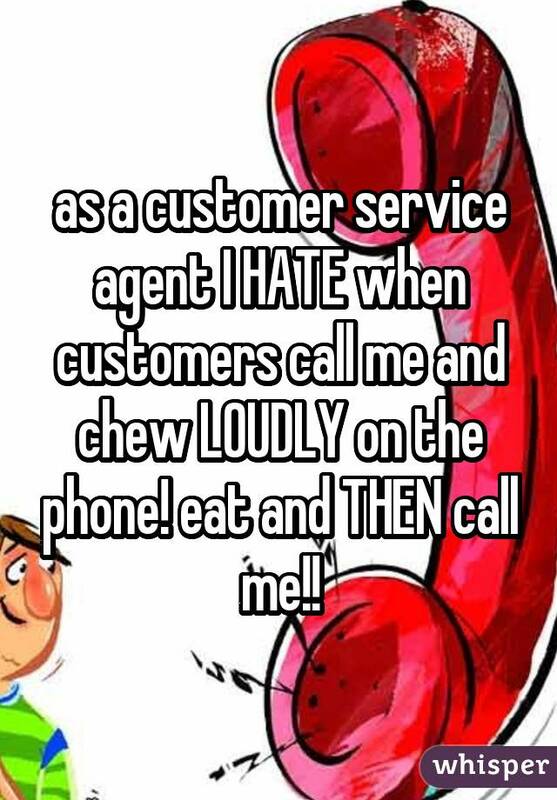 Sometimes they actually enjoy seeing customers squirm. But others understand the value of treating others how you'd want to be treated. 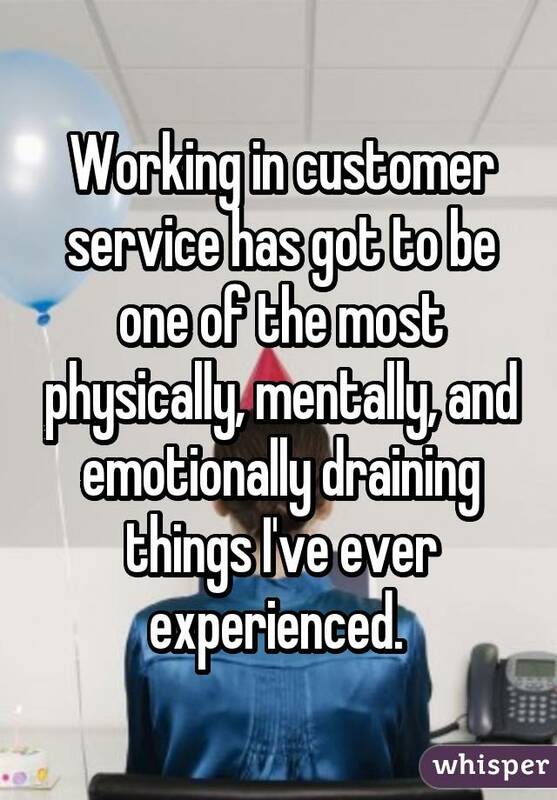 It can be difficult to empathize with customers, though. 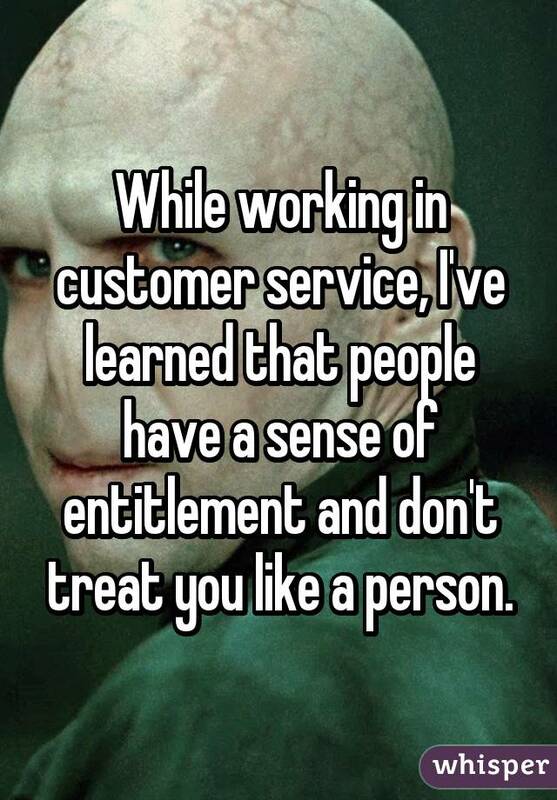 Especially when customers are extremely rude. 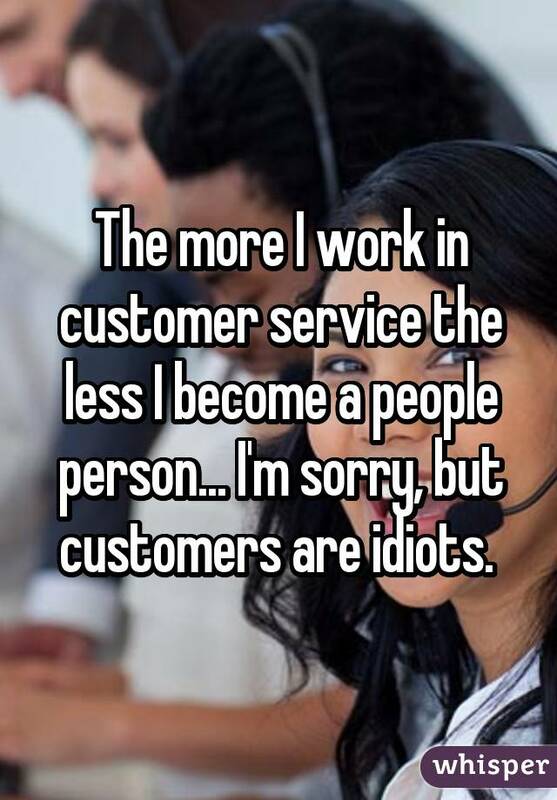 Many customer service workers simply tune the customers out. The job certainly comes with its share of challenges. And can make the workers lose their faith in humanity. It definitely messes with people's social lives. Table manners apply to phone etiquette too, people. It can even shift people's social values. Just because you can't see them, doesn't mean they aren't real people. It can be difficult not to be judgmental in this line of work. They really don't like being told to smile. 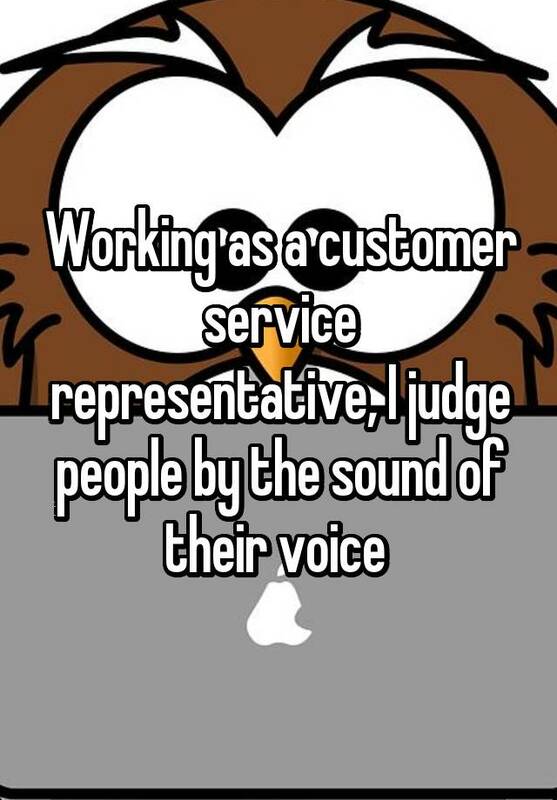 Sometimes they just want to yell at customers to be more kind. A little assistance is sometimes needed to achieve that bubbly disposition. A little alone time can go a long way. 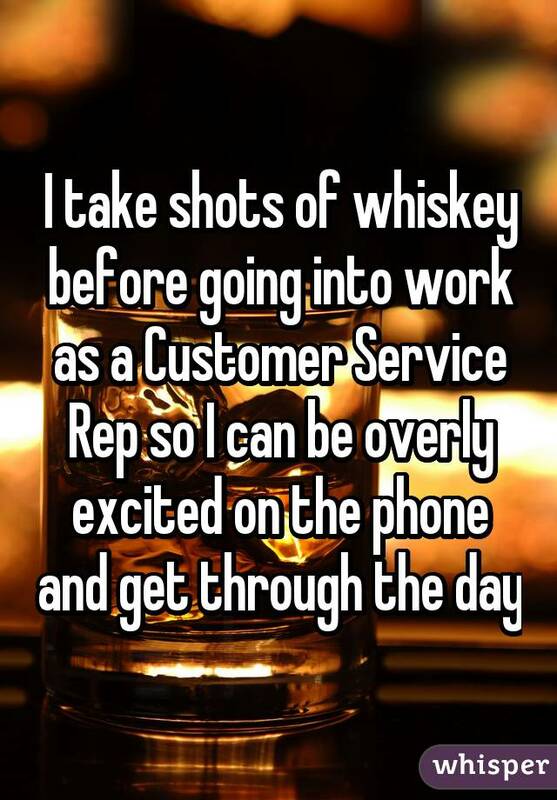 For more customer service confessions, ​check out Whisper.